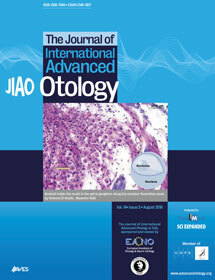 ENT ENDOSCOPY 2011 – ENDOSCOPIE ORL 2011 is the second edition of an international meeting dealing with all the endoscopic surgical procedures in all the fields of ENT. Then, all the non-endoscopic surgical technics will also be discussed in each session, enabling a very complete information. This meeting is the only one in this kind in the world, because of the topics and the plenary sessions. The first edition took place in Grasse, France, in 2009. The success was great thanks to a high scientific level, the quality of the experts but also a very practical aspect and a real conviviality. This edition will take place in Cannes, in 2011 november, the 25-26th. It will gather prestigious speakers and french and foreign congressists coming from many countries in the world. The best specialists in the world will be gathered, experts in the fields of the rhinology, the thyroid and parathyroid surgery, the surgery of the salivary glands, the laryngology and the otology. The meeting will present practical with systematic video sessions. The technical advices will be mixed with lectures of a high level. The round tables will enable to debate about controversies with clinical cases encountered in the daily practice. The special sessions will expose the new technologies, the surgical techniques of the future and the forensic problems in ENT. A simultaneous translation will give the best way to fully profit from all the lectures. Live the Endoscopy is live the Future.